We trust that you will find all the info you need below. Please contact the Venerable Carol Wagner on 02 4476 3049 or 0427 267 242 if you would like to inquire about booking a wedding. 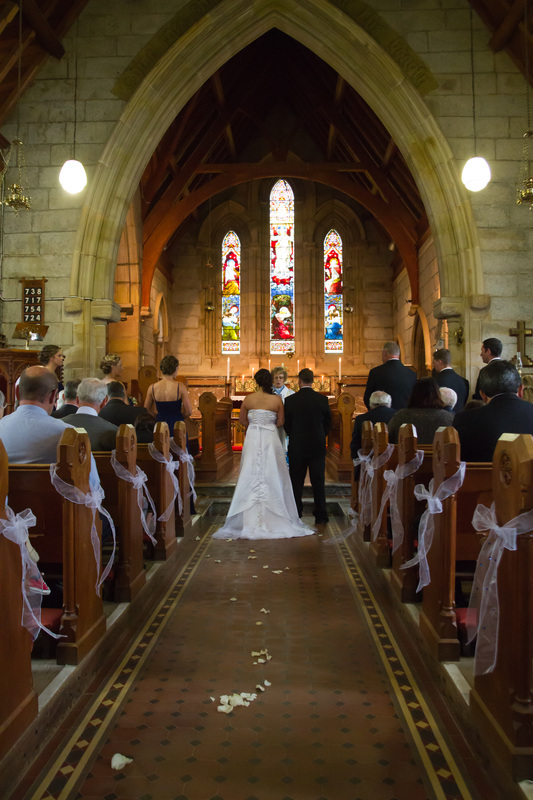 The most popular venue for weddings in the parish is the historic Mort church of All Saints' Bodalla. However, weddings may also be booked for our more contemporary church of St Paul's Narooma. 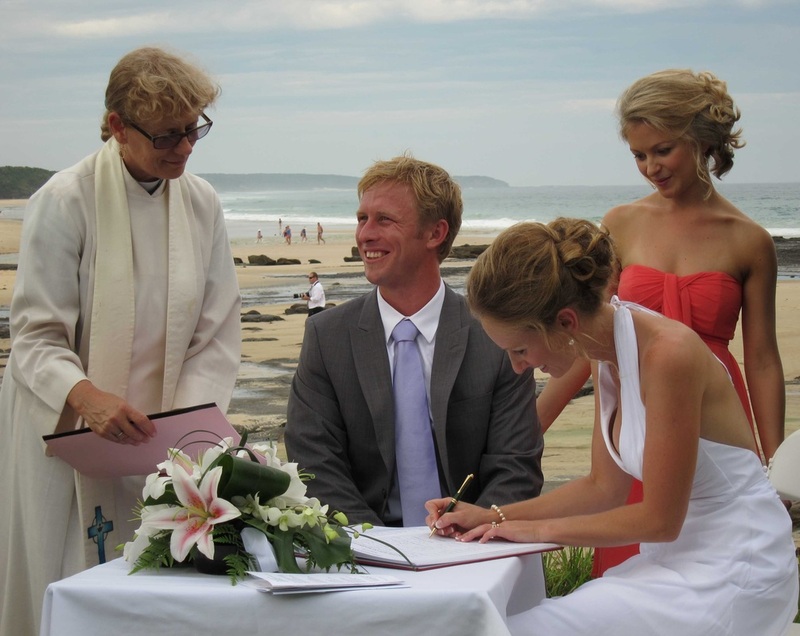 Outdoor weddings are also possible at a number of spectacular coastal sites. Please contact Ven Carol to discuss your venue. Once you have spoken to the priest, confirmed the date for your wedding, the above forms can be completed and brought to your first meeting, or emailed if you are outside the parish. I have been divorced. Can I remarry in the Anglican Church? In short, the answer is yes. However, it is important that both bride and groom are aware of the issues that led to the breakdown of any previous marriage and and that those issues are being addressed, so that their marriage will have every chance of success. You will need to make an appointment with the priest to talk about this, and then with the priest's recommendation, the bishop will approve the marriage. We are a mature couple, and we have both been married before. Do we need to do marriage preparation? 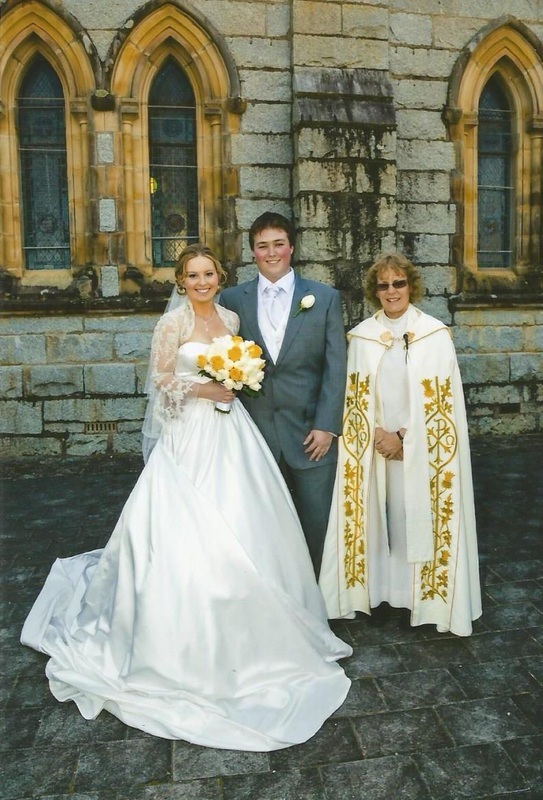 It is a requirement of celebrants in the Anglican Diocese of Canberra and Goulburn, that all couples married in the church do some form of marriage preparation. However, this can be tailored to each couple, depending on their situation. The priest will discuss this with you when you book your wedding. 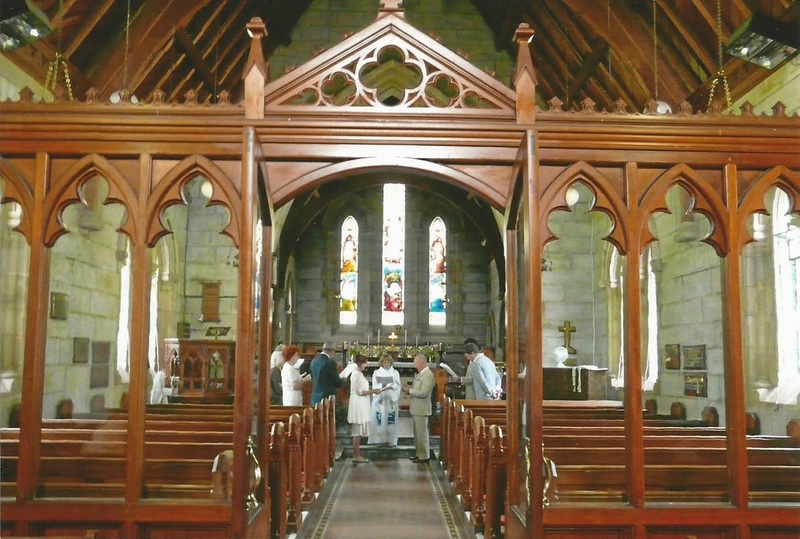 Do I have to be a member of the parish to be married in the Bodalla Church? Not at all. 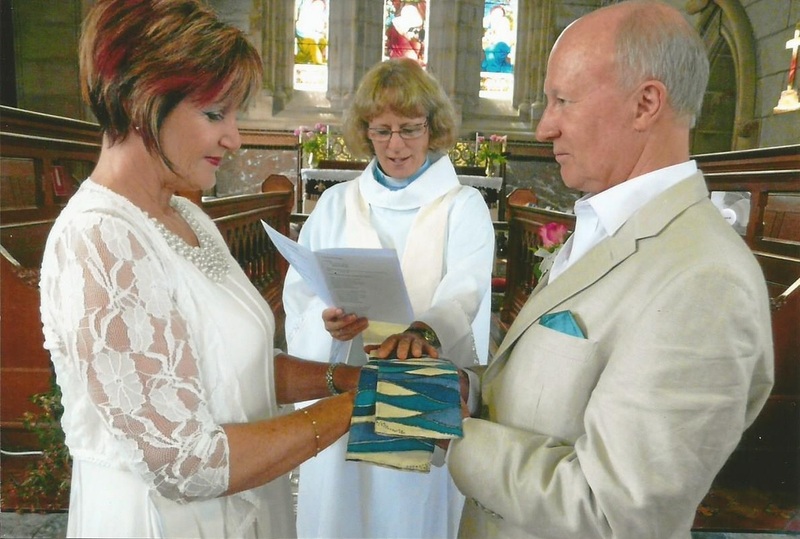 We have couples from all over Australia and from overseas, who have been married in All Saints Bodalla. Using the standard liturgy, the service goes for around half an hour. However, couples are always welcome to bring to their celebration their own additional readings and musical items. These might make the service a little longer. If a couple chooses to include Holy Communion in their wedding, this will add another 15-20 minutes, depending on the size of the congregation. 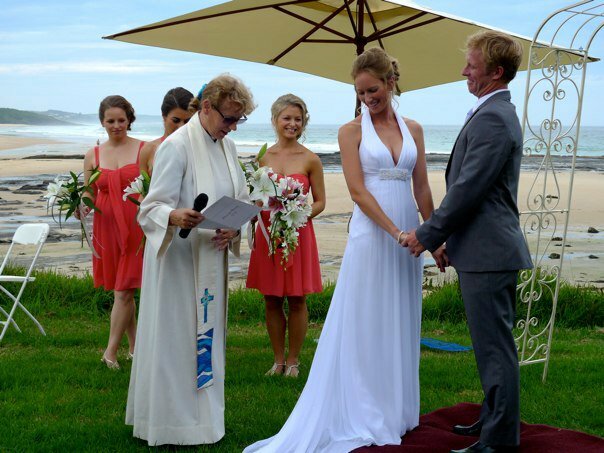 A religious celebrant is licensed by the NSW Registry of Births, Deaths & Marriages to marry couples according to the Marriage Rites of their particular denomination. This means that the vows in that rite (or service) need to remain in place. However, couples are most welcome to add their own sentiments to those vows, provided they are not contradictory. Can we have the historic Willis Organ played for our ceremony? The organ is a beautiful enhancement to a wedding and is always available! However, good organists are thin on the ground, and we may not always have an organist available on your required date. Once you have finalised your date, we can put you in touch with an organist, and you can make arrangements with the organist privately. The organist's fee is separate from the fees for the wedding, and needs to be negotiated with the organist. Music is an important part of your wedding ceremony. A typical ceremony needs music for the bride to come in to (the Processional), for the bride and groom to go out to (the Recessional) and to be played during the signing of the register. If you would like to use recorded music, the church sound system will accommodate both CDs and phone/ipod tracks. You will need to provided someone who is happy to operate the music during the ceremony. Live music is also welcome, if you have friends or family who would like to play. Can we provide alcohol on the premises for our guests following the ceremony? Unfortunately, we are not able to accommodate this request. We would suggest using a local park or the reception venue for this. Can we use petals, confetti or rice? Artificial petals are fine, as long as they are cleaned up by someone from the wedding party following the ceremony. As All Saints Bodalla is a heritage listed building, unfortunately we cannot have natural petals, rice or confetti scattered in or around the church. Can we have pew decorations? Absolutely! Though please take them with you when you go. Can the church provide flowers? Sadly, the church no longer has the resources to provide flowers for weddings. However, you are most welcome to bring your own flowers and place them in the church for the wedding. You can either leave flowers behind when you leave, or take them with you.